With the changing seasons, some of us are ready to snuggle in front of fires and candles, Autumn leaves, warm hearty soups and woolen jumpers. Others are ready to bounce into the joyous season of Spring, blossoms and new sunny days after a very long Winter.I’m joining in the Celebration of Spring- A Return to Loveliness. The Victoria magazine has been part of my life since 1997, and looking back on many volumes the Spring April issue read like a pleasant opened rose with it’s petals softly falling and every petal a new inspiration and influence to how I could recall the new Spring days.Back issues and more information can be found here. If we listen carefully, we can hear the music of Springtime’s laughter. The tittering of tiny blossom buds, fresh green leaves that seem to giggle in the breeze, the chatter of tiny flowers, the twittering of newborn birds, rose buds that smile in the suns rays. A rebirth of growth within our garden, and enchanting Spring, a newborn season. A time when I dust away the blues and woes of a cold Winter, open windows to feel the warmth of the day, dust all around my home and strive for a another warm welcoming to my favourite season.Spring. I remember my grandmothers ‘copper’ boiling with hot water to wash the white sheets and hang them to dry. The huge wooden stick to twirl the washing as the steam would rise to give a warm vapor facial, a no go zone for us little ones. And the white, blue rim metallic pitcher, to empty out the water when all was done. No plugs for drainage in those ‘olden’ days. Non of those clothes lines of today,you remember the long wire held up by two long sticks, and we always played between the sheets as they’d freely flap against the breeze.The memory of dolly pegs hanging from her apron and how we always played hide and seek with her. 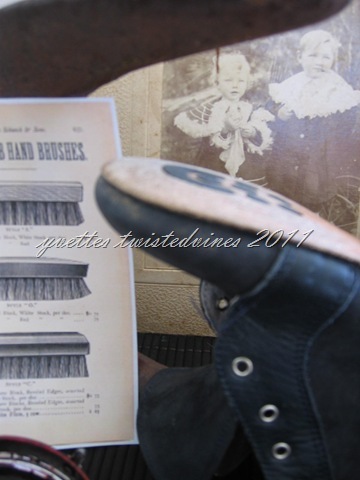 As she scrubbed and heaved the sheets across the washboard and hand spun them through the wringer. 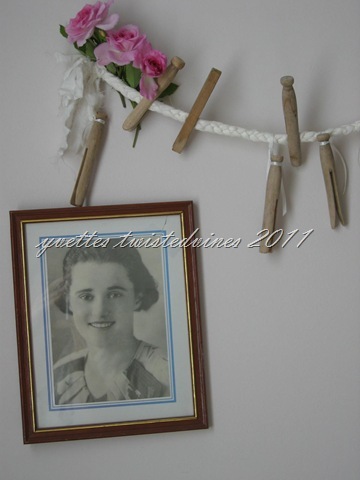 Photo of my Nanna and her dolly pegs. My sister has this hanging up in her laundry, a little keepsake. 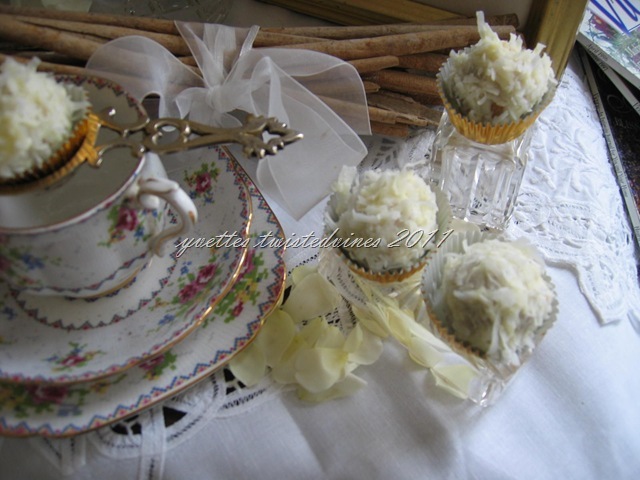 The scented white softly soap flakes and the velvet soap, ready to use for any marks that may have been left from family luncheon get togethers. The pure white linens,tablecloths starched and pressed, scented lemon and lavender filled the air as beds were made with clean crisp sheets. 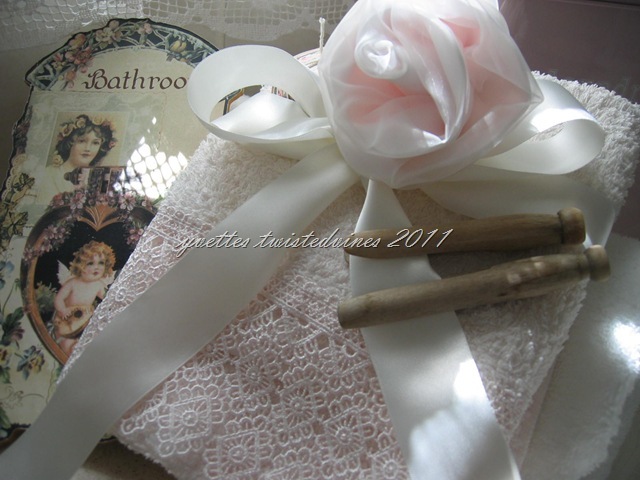 A hint of rose, a whisper of lavender – the appealing scent of well cared for linens is a kind of personal signature. Fragrant waters,sachets, soaps, and sprays for freshening your fine linens, each as gentle as an early morning breeze from the garden. 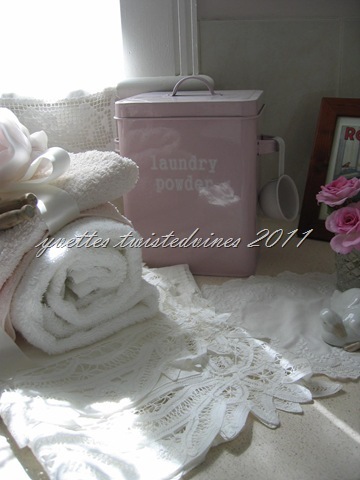 For generations, Europeans have sprinkled rose water when ironing sheets or rinsed their lingerie in a mild orange-blossom infusion. Today we have so many ways to add that extra touch of luxury and pure pleasure. 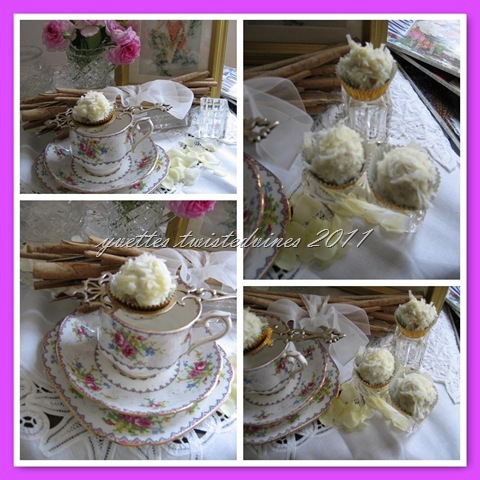 And what better way to spend your leisure time, with a cup of tea, sipping from a Royal Albert china tea cup, and a little sweet indulgence of a apple cinnamon truffle. Cut the dried apple into small cubed pieces. Mix ingredients in bowl, and roll 1 teaspoon of mixture into balls. Leave to rest 15 minutes in fridge. Melt 125g –140g white chocolate bits in glass bowl over a saucepan of boiling water until melted. Dip each ball into chocolate and then coat in shredded coconut. 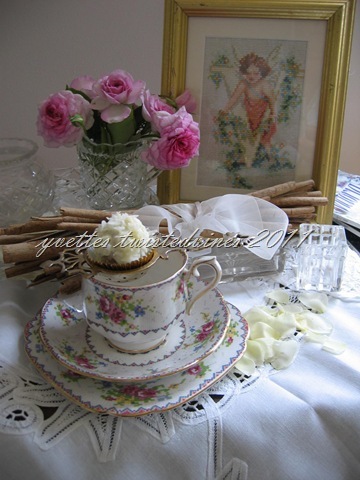 This Royal Albert teacup trio is a sweet Spring style, with a cross hatch pattern and mignon rose pink and blue mosaic. Enjoy my friends, these delicate delights and make me a promise to wander through the new Spring breeze and stop for a moment and smell the roses. Enjoy the new Spring days! Vintage Labels from Karen @ The Graphics Fairy visit her blog and spend some time there looking at all her fabulous Vintage Images and Free Backgrounds and Downloads. Shop off your Cottage Monday @ The House in the Roses. beautiful mosaic and all the rest are great too! 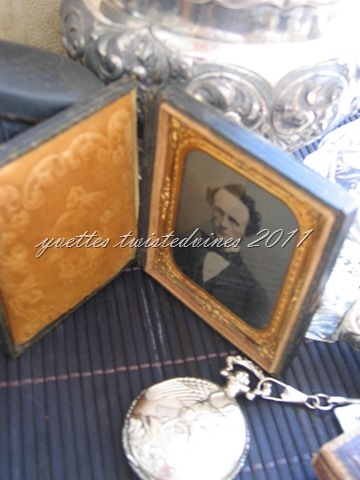 What a beautifully written and photographed post Yvette. I went through it twice. Gorgeous mosaic! Absolutely beautiful shots of such beautiful things! 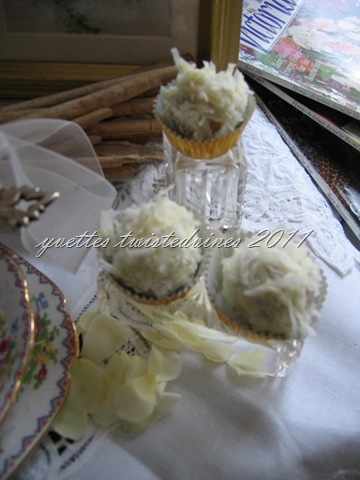 The truffles look delicious! Lovely pictures welcoming the arrival of spring. I love them all. I hope you enjoy your week. Such a delightful blog you have. It has been a joy to scroll through your pages. I see you are originally from the SW of Western Australia. What a dream it must be to follow your heart and live in Italy – thankyou for sharing your corner of the world with us and thankyou also for hooking into my blog. Your photos are gorgeous. 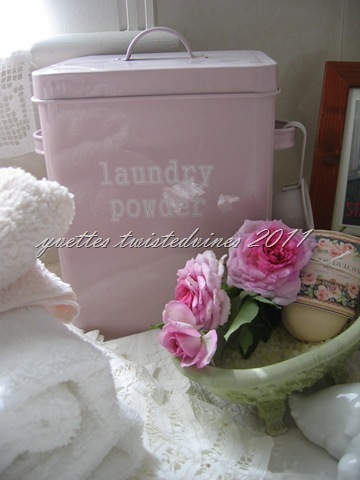 The laundry powder pink canister is wonderful. Everything looks so inviting, calm, and sweetly warm (but with a cool breeze coming through an opened window, and curtains gently blowing). My cousin and I both adored Victoria Magazine, but quite a few years ago they changed their magazine and it’s never been the same for us. Have a delightful Autumn and Winter, and please share all of its wonders with us here in SE Texas. We’re enjoying a nice Spring (actually this would make a perfect Summer), but it will be blazing very soon (oh, but I really hope not). 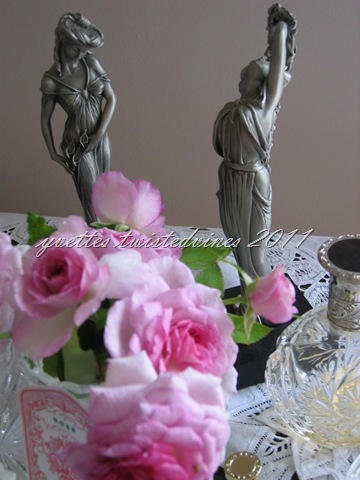 I really enjoyed your photos and info in this lovely spring post! A lovely spring post. The photos and colors are all beautiful. Happy Spring! Goodness! 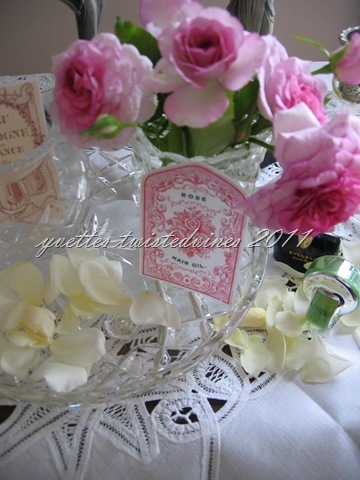 What a gorgeous Spring Tea post!! Filled with so much eye candy and lovliness!! Such a delicate Celebration of Spring ! Truly LOVELY! I love the romantic pal pink hue ! 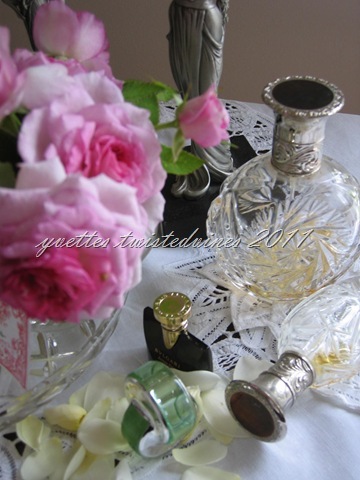 Thank you for visiting my blog and writing a kind comment ! Yvette, This is a beautiful post. Great photo composition! I also found your story quite interesting (“About”). Lovely spring time mosaics! Love your blog too. I loved my visit her and your post is lovely! Yvette…Yvette….Yvette….I am in awe – this is beautiful, this is poetry…this is so wonderful. So thoroughly full of the goodness of spring and hearkening back to the ways of our grandmothers-great-grandmothers – such appreciation such a tribute! I am blown away – so very thankful you joined me this week Celebrating Spring with Victoria – this is a post I will read over and over. What a lovely post! I enjoyed every word and photo. I especially enjoyed hearing about your grandmother! Grandmothers are very special people! Thank you for sharing and joining me for my Spring tea. It was lovely having you! 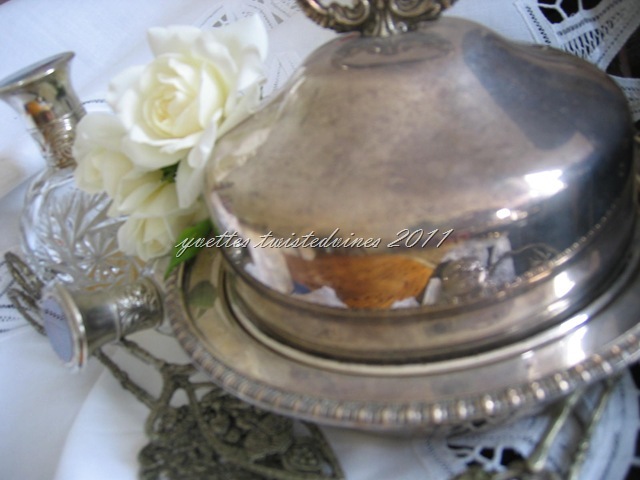 A very lovely spring post with lots of vintage things. I have a similar tablecoth and noticed yours right away. Beautiful post! Love the pictures. Everything looks so gorgeous and inviting! 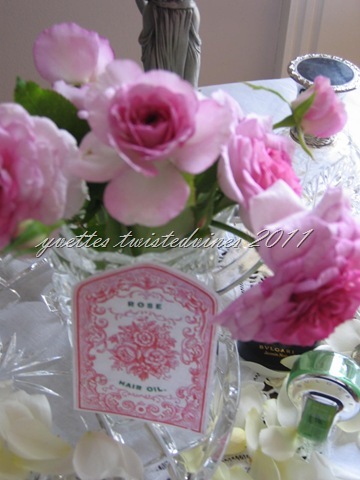 What an absolutely stunning Springtime tea post!.., I just love every exquisite detail. 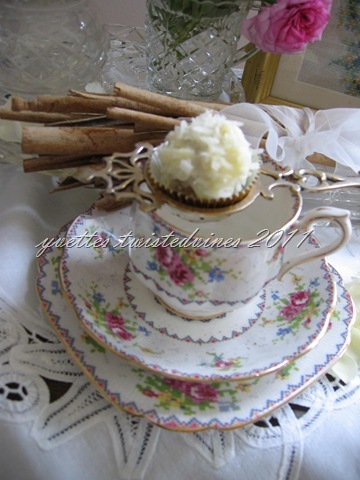 ~ I especially enjoy the beautiful details, the sweet treat nestled in the silver tea strainer over the teacup, the silver, crystal and flower petals!.., Sooo pretty beyond! Thanks so much for your kind comments as well as for joining Pam and I for TTTT and also for my 75th,’Tuesday Tea for Two’. What a beautiful post! 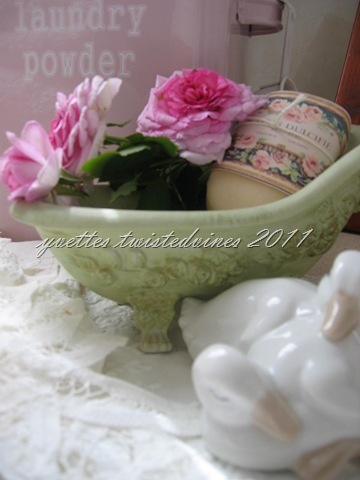 lovely words and story, im in love with the beautiful teacups and the pink laundry powder tin! 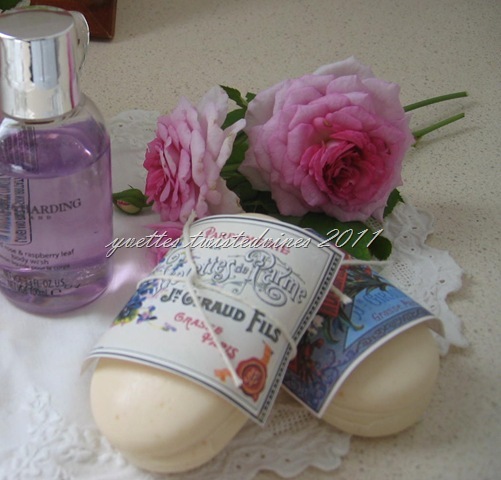 beautiful vintage photos and the soap, everything look so dreamy and beautiful! 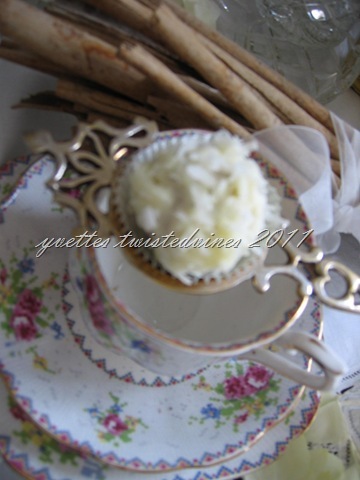 Happy Tea Time Tuesday! I think I’m going to label you as the table scape queen. I simply love this table and all of the spring colors. Wonderful! These pictures are so romantic… Make feel like it’s really spring (unfortunately it’s still cold here, though temperatures are finally rising). Sweet post. What a beautiful post! I love your dainty tea cup and saucer. It is so pretty with all those flowers and colors. All your photos show off your beautiful home so well. Thank you so much for sharing with us. What a beautiful post! You put lots of time into this and it is gorgeous! 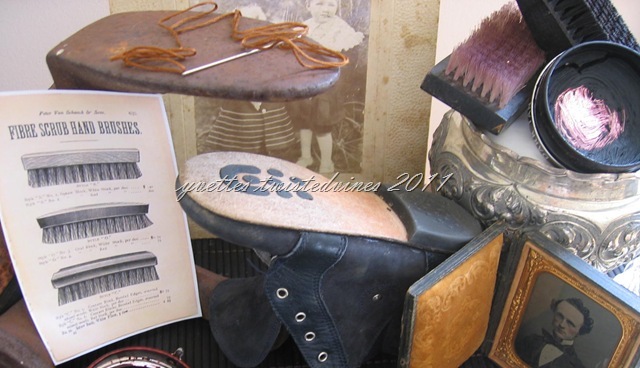 Love the memory of the chores and your grandmother. Such beautiful photos too. 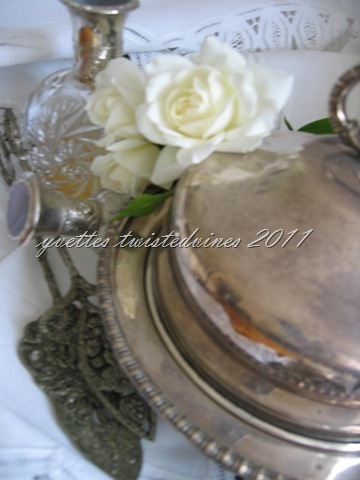 Such a pretty post, Yvette! Thank you for posting such a visual treat! What a beautiful post! I love your thoughts on spring, and your photos are wonderful. Thank you for sharing! 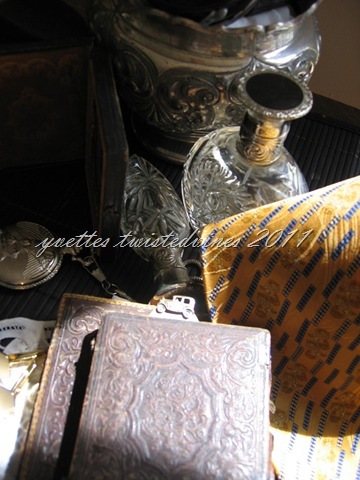 Such a lovely blog and beautiful photography. 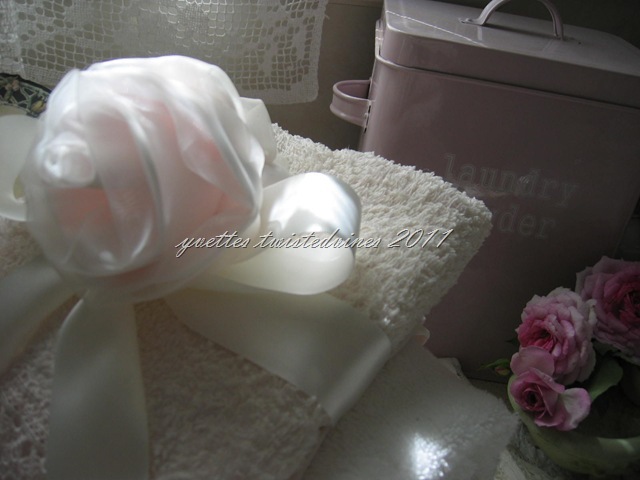 It bought back memories of my Mum’s washday when I was a small girl. Hello, Could you contact me by email. I have a special message for the Celebrate Spring With Victoria participants. A super beautiful post..fabulous..full of charm and elegant beauty..wonderful! 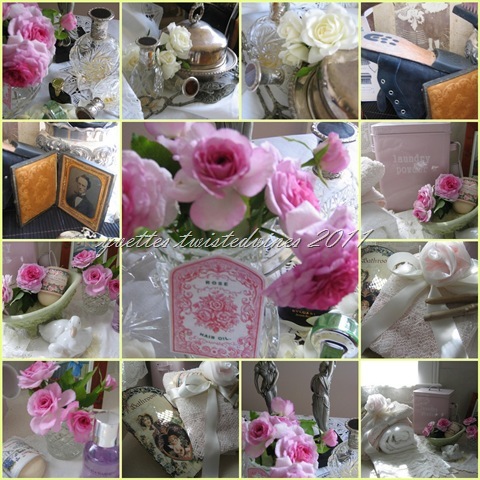 Beautiful collage pictures and lovely inspiring post. I want to try your recipe, thanks fro sharing. Oh, what a lovely place you have here! I have perused many of your posts and could have kept going! Each one is beautiful and full of so many ideas! Great stopping by to visit with you!